Need help with a Collaborative Law matter? You've come to the right place. If you are committed to resolving your dispute in a constructive and reasoned atmosphere, a collaborative lawyer can help you. Collaborative law, also known as divorce mediation, is a results-focused, out-of-court process used to resolve disputes - usually divorce and other related property, child custody, and support issues. Use FindLaw to hire a local collaborative law lawyer to help you navigate through a collaborative divorce. 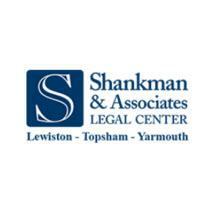 Need an attorney in Yarmouth, Maine? Use the contact form on the profiles to connect with a Yarmouth, Maine attorney for legal advice.